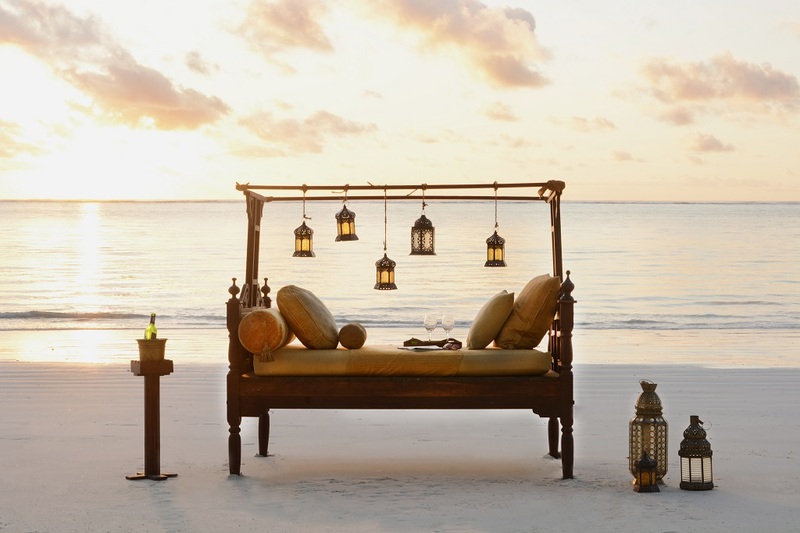 Zanzibar Beaches and Breezes, Tanzania – The Great Canadian Travel Co.
For centuries the island of Zanzibar has evoked a mystical and magical dream. Known as the Spice Island, it lies just off the coast of mainland Tanzania and provides an excellent extension to a safari. Contact one of our Africa Experts for more specific dates. Prices are shown in US$, per person based on two people sharing a twin room and one person in a single room. Actual price may vary from the starting prices shown depending on your date of travel and availability of accommodation. 3rd person sharing room rates are available. Full board supplement can be added if you prefer to have three meals/day included. 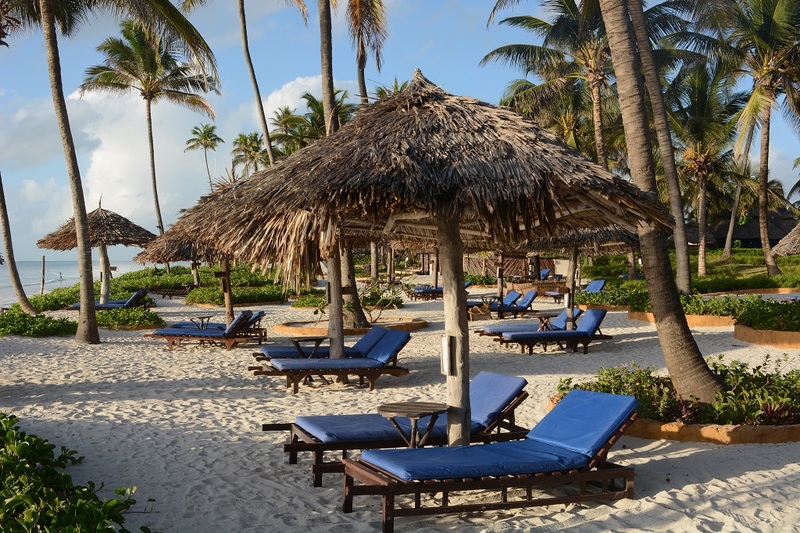 Fly to Zanzibar and transfer from the airport to your accommodation, Breezes Beach Club and Spa, where you will stay for the next four nights. This award-winning, family-owned hotel is located on renowned Bwejuu Beach on the southeast coast of this spectacular island. It is well known for its personal service and attention to detail, ensuring a memorable stay. 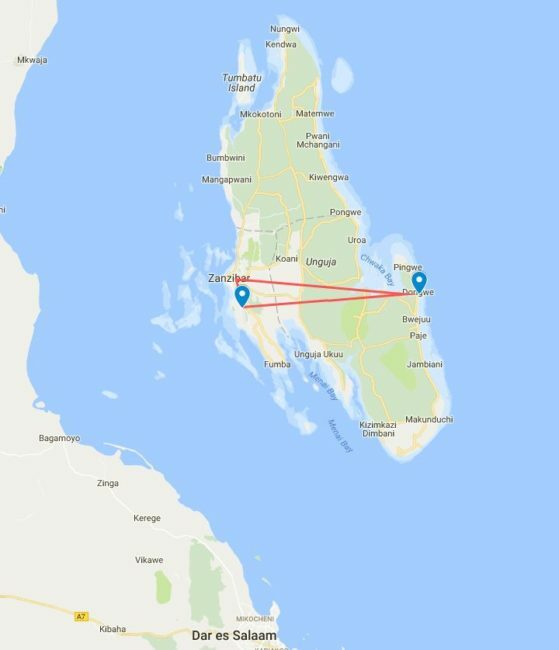 If you are continuing on to Zanzibar following a Tanzanian safari with us we will arrange to fly you from Grumeti Airport directly to Zanzibar on the final day of the Tanzania safari. Otherwise, we can arrange flights from other airports or you can arrange your own and arrive anytime on Day 1 to begin this program. Breezes Beach Club and Spa, Zanzibar ® has been voted 4th Best Hotell and 6th Best Luxury Hotel in Tanzania for 2018! It is an ideal choice for those in search of a relaxing beach holiday or romantic getaway. 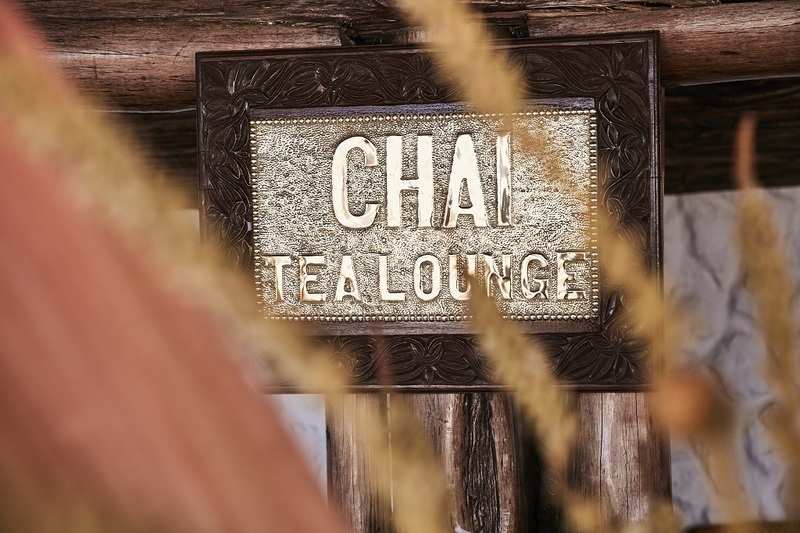 Famous for its attention to detail, intimate and private dining and its beautiful Zanzibar decor with stunning carving, glistening brass and rich fabrics which create an elegant and unique atmosphere. 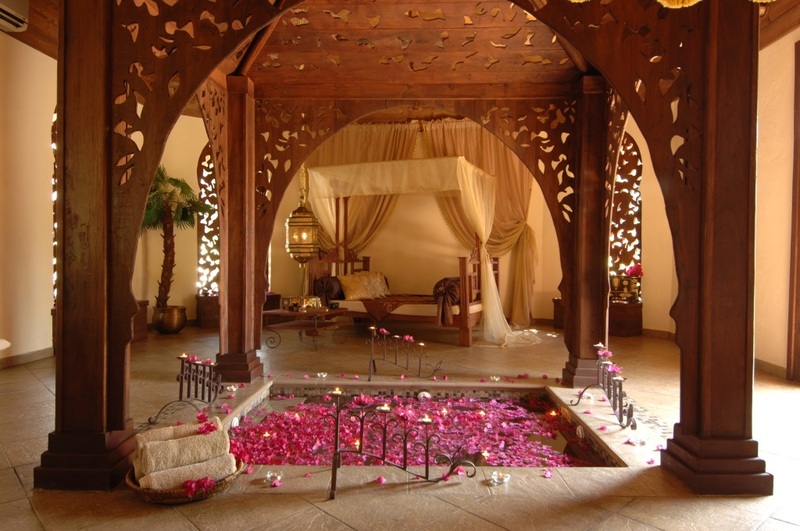 Breezes also features the award winning Frangipani Spa. 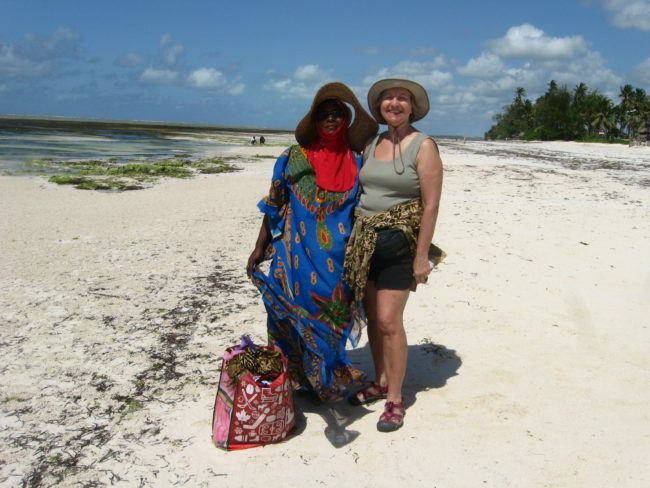 The hotel is located on the pristine Bwejuu Beach on the southeast coast of Zanzibar island, which is the quietest and most untouched part of the island. Bwejuu Beach was chosen by the reputable Conde Nast Traveler magazine as one of the top 30 island beaches in the world. 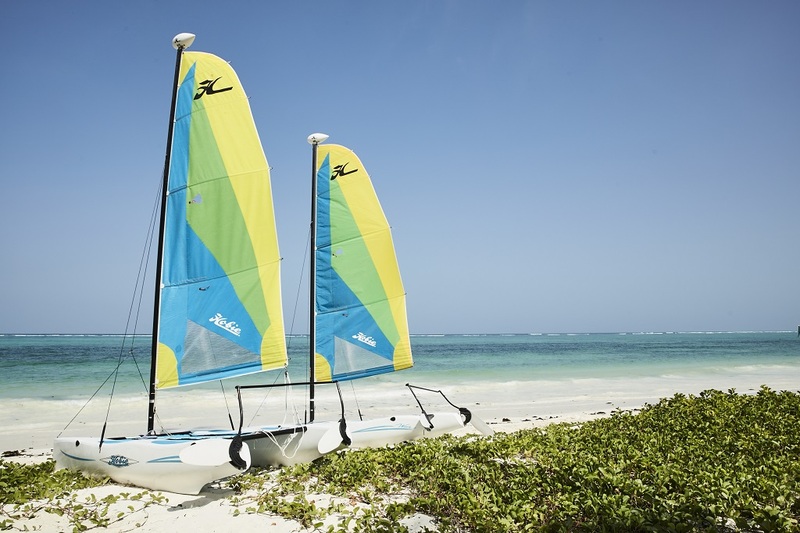 The Water Club offers a wide range of high tide activities such as kite surfing, sailing, windsurfing, snorkelling, paddle boats, kayaks and paddle boards and low tide activities like cycling, beach football or volleyball, sandcastle building and Frisbee beach tennis. Payment for these activities are done directly to the hotel. 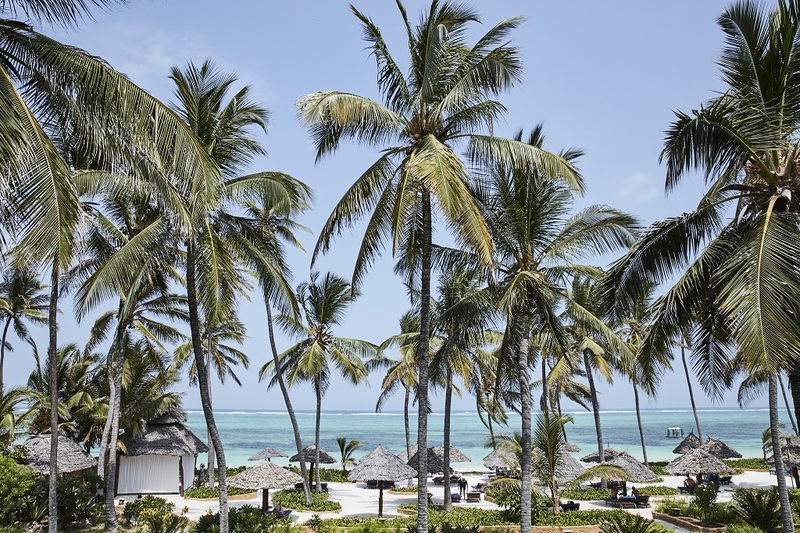 In addition to sporting activities the hotel organizes classes “under the Palm trees” featuring Mwalimu (teacher) giving Swahili classes and lessons on the History of Zanzibar. Guests can learn Palm weaving on the beach. Cooking classes are organized regularly where guests learn to prepare some classical Swahili dishes with the hotel’s excellent chefs who talk about the local spices, their use and importance. The only PADI 5* Gold Palm and National Geographic Dive Centre in Zanzibar is Rising Sun Dive Centre located on the untouched southeast coast of the island. Rising Sun dive centre was the first to discover this unexplored region. With over 12 years experience they offer you the highest levels of customer care and attention while educating and encouraging conservation of the marine environment. Divers from complete beginners up to professional level are handled equally and the centre has a massive variety of diving programs, guaranteeing something for everyone. With small groups of a maximum of 6 divers per guide they offer you the chance to escape the large crowds and get the most from your dives. 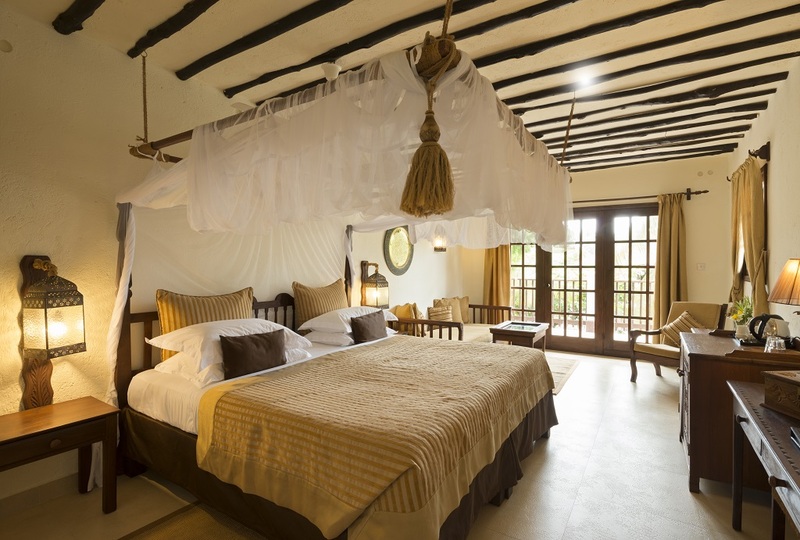 Check out of your room at Breezes and transfer to Stone Town. Your luggage can be put into storage while you have lunch, explore the town and spice market before heading to the airport after dinner for your departing flight. The itinerary for this day will depend on your flight schedule and could differ from the above description. 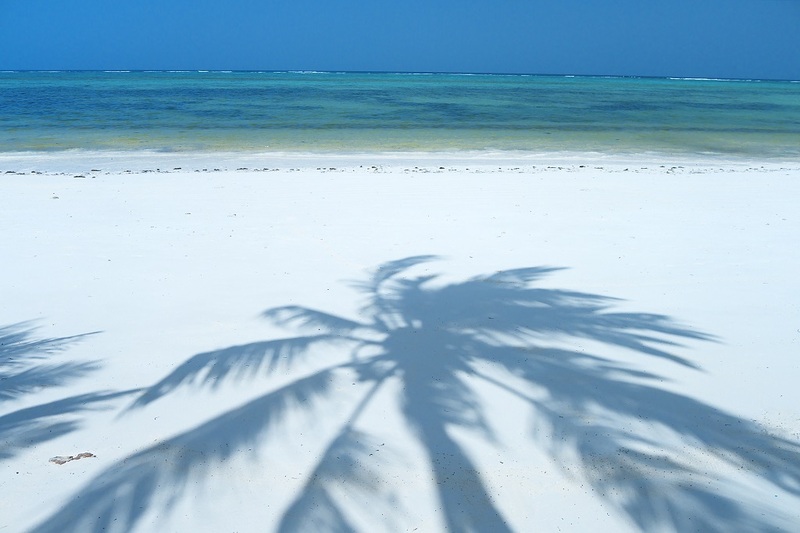 Zanzibar and its outlying islands are home to some of the finest beaches in East Africa! Designed to be added on to our Tanzanian safari programs, this Zanzibar package can also be booked as a stand alone package year round. Rates will vary depending on the season of travel. Please inquire for pricing. Christmas and New Year, December 23 – January 07, 2018: special pricing applies during the holiday season, with a minimum 5 night stay required and a supplement for staying over on New Year’s Eve. Rates start from US$1,505 per person, twin basis and US$1,945 per person, single basis.